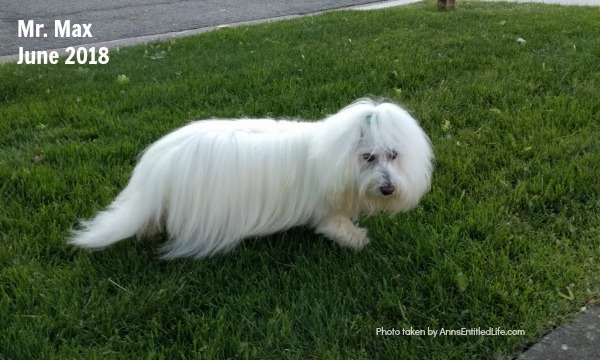 Normally this is just an update of Max’s GME chemo and meds, but this post has something extra special to celebrate – Mr. Max has made it four years past his original GME diagnosis!! 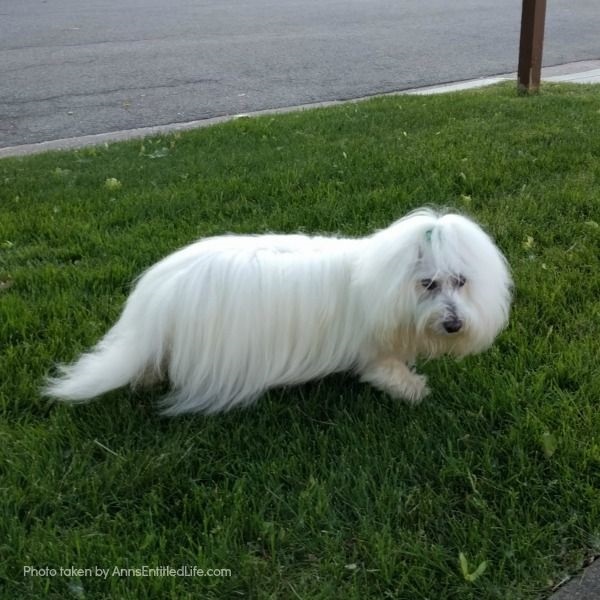 For those of you unfamiliar with Granulomatous meningoencephalomyelitis (GME), it is a canine disease where the white blood cells attack the central nervous system. Max is well past historic longterm prognosis for this terrible disease. When he was diagnosed it was “not leaving the hospital” – to – “up to three years”. And Max has lived FOUR YEARS past that original diagnosis date!! That is simply amazing. I attribute it to Max’s strength, Cornell’s medical care, and crazy owners. 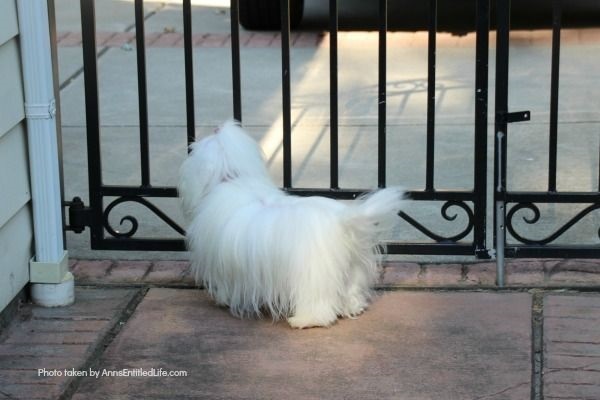 Yup, Hubby and I are absolutely nuts when it comes to Max’s care. In addition to the daily medications, the chemo, and regular vet visits, Max also has PT (once or twice a week depending on when chemo is scheduled) and a regular masseuse (she also does more PT with him and more laser). 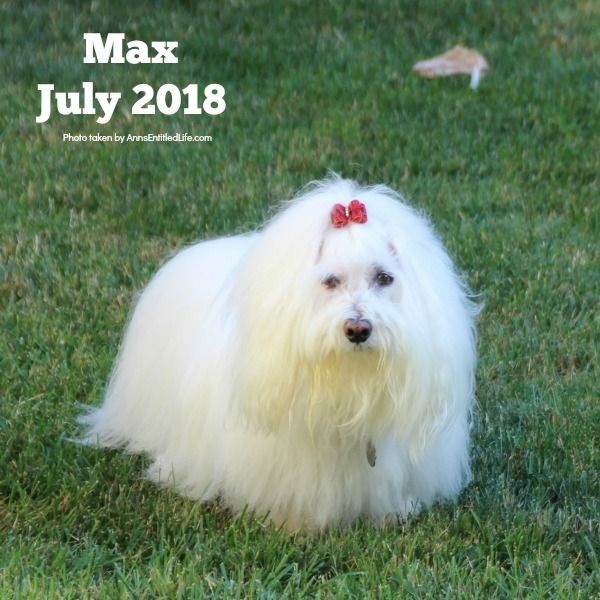 Hubby has done a ton of research on every supplement out there to help Max’s liver and gallbladder, as well as changed Max’s dry dog food to help with liver function. Max may not eat dry very often, but when he does it is gonna be good for him! And, for two months in a row, Max’s liver numbers have come back “perfect”. On his monthly trip to Cornell last week for chemo, Max again had an ultrasound to check liver/kidney/gallbladder size. Unlike last month when the gallbladder reduced in size (a total shock), this month it “merely” held steady. These days? That is a win! We’ve been of the notion that Max’s gallbladder will be what does him in for a while now. It being “friable” and gathering sludge (but no plug) is ominous. Steriods are both a blessing and a curse. While they have helped keep him alive the last four years, they are also tough on a body. 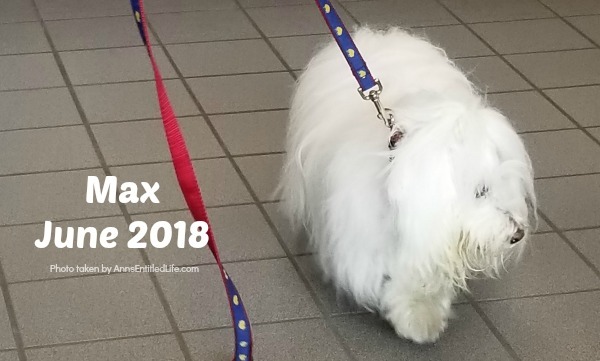 Max is now off one of the medications I listed a few months ago – the Enrofloxacin. He has also had the Metronidazole reduced to 1.2 ml, 2x daily as he lost some weight. The Met goes away on August 10th which will allow for some time befor the blood test. When that next blood test is taken a week later, we shall see if his infection is totally gone. Hubby asked if Max could/should stay on the Metronidazole on some sort of maintenance dose. After checking with the internist, his neurologist said no. 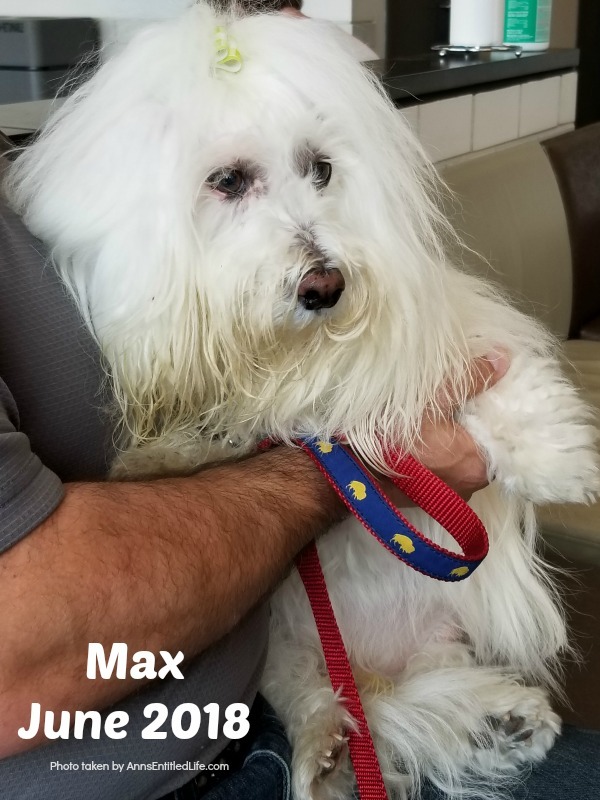 Max is immuno-suppressed so they do not want to ramp his system unnecessarily, and they do not want him to build up a tolerance to the Met in case he develops an infection again. Max’s Pred was also reduced to .2 ml. It will never go lower, although it may be raised in the future. In converting the liquid amount to his lowest prior pill dosage (where he has relapsed in the past) this keeps him just above any maintenance dose (so the hope is because this is a tad higher than a maintenance dose, it will do well for him). The Sam-e + Milk Thistle are the liquid replacement for Denamarin. As you can see, he is taking a combination of supplements and prescription drugs. Mr. Max checking out the street-action before heading off to Cornell. We return to Cornell in four weeks for another chemotheraphy treatment. If all goes well, his neurologist suggested the treatment after that would lengthen to five weeks. I honestly have no idea how long the little guy can keep battling this terrible disease. We are in uncharted territory as far as his longevity. Everything being done now is on “hope”. The chemo as a monthly is definitely aggressive treatment. I do feel we have been very fortunate to have had Max with us as long as we’ve had. When he was first diagnosed, I had no expectations of his even leaving the veterinary hospital. I certainly didn’t think we would still have him with us four years later!! Every day with Max is a gift. And we are most appreciative of our time with him. He’s shown us you don’t have to be large in size to be large in heart. And this little guy has plenty of heart. Above is a photo of Mr. Max sitting on Hubby in the Cornell waiting room. He was funny this time in that the second we let him down off the benches, he hid underneath them hoping the resident vet wouldn’t see him. 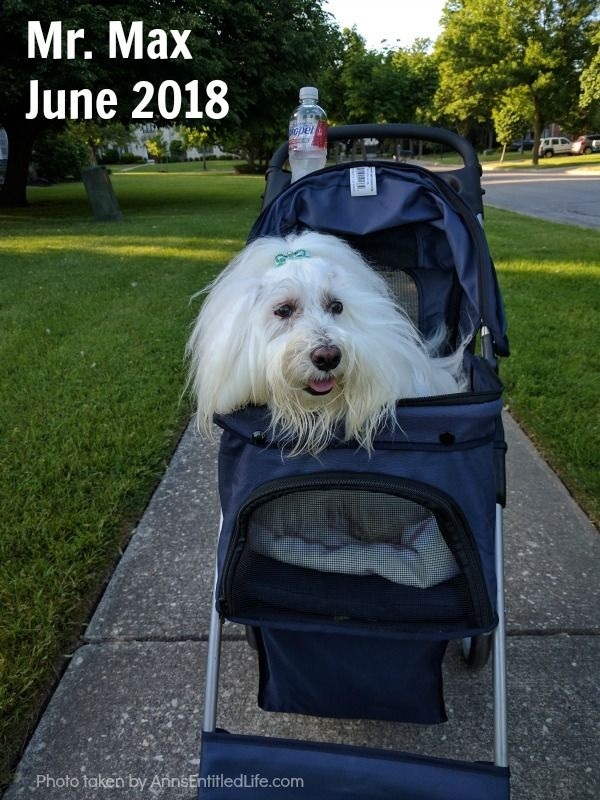 For the first time in a long time, we got some good news about Mr. Max!! His liver numbers were “perfect” this round. I could not tell you the last time he had “perfect” liver numbers! And, his gallbladder was the size it was several months ago. We had hoped it would stop growing, instead, it got smaller! I would never have thought that possible. This whole round was pretty smooth. We got there Monday afternoon, about half an hour early. They took him in, did his bloodwork, got the results before 5 (this rarely happens), and started him on chemo right after that. He finished was by the 8 am call (the resident call us with updates at 8 pm and 8 am daily), went in for an 11 am sonogram, and we were able to pick him up by 4 on Tuesday! 24 hours in and out with a chemo treatment!! Summers at Cornell are vastly different than when school is in session. We never even saw his neurologist this time. That is also a first. We couldn’t blame her though as Max was going home a full 22 hours early and she had surgery scheduled (no one expected him to be out early). Reducing his Prednisone (to .3mL 2 weeks ago) seems to have been the biggest reason for the great liver numbers, and the reduced gallbladder size. Everything is a balance. 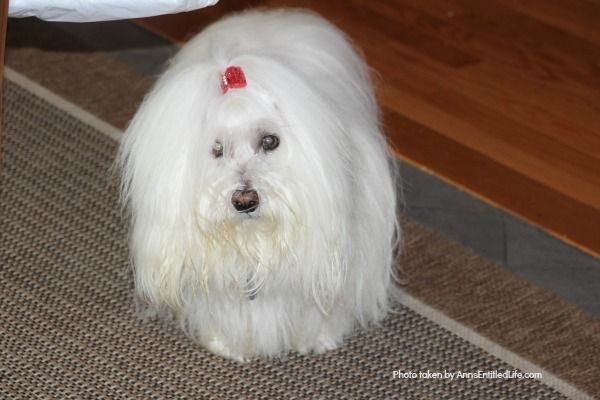 Max needs the Pred + CycloSPORINE + chemo to keep the GME in check. However, the Pred causes issues with his liver and gallbladder. It truly is a balancing act to keep one at bay while keeping the organs healthy. All-in-all though, we were extremely happy with the news this time. 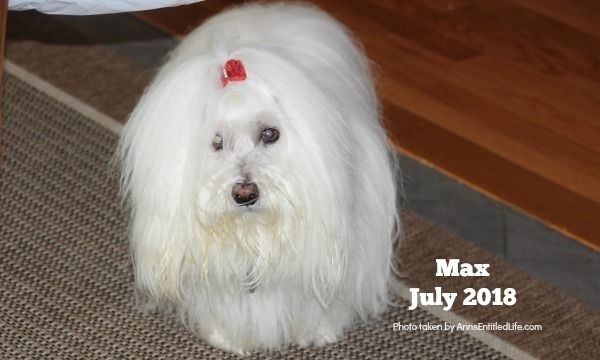 If Max makes it to the 4th of July, it will be 4 years he’s had noticeable GME symptoms. He was diagnosed with GME on July 10, 2014. I mention this because the prognosis is not-leaving-the-hospital to 3 years. Mr. Max is well past that mark now. 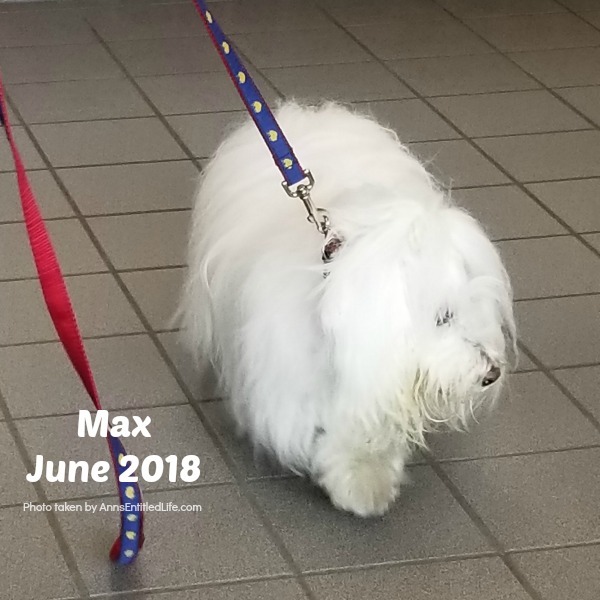 His neurologist at Cornell told us months ago that Mr. Max is the longest living diagnosed GME patient they currently have. Every single day with him is a gift – even the days when he is being a PITA.